Please ride and drive safe out there during the winter. This is my wife's side by side after being hit by a vehicle in the bush. She was coming down an icy FSR road when she spun out and did a 180. The vehicle behind her hit her head on doing about 40km. Please leave space when some one is in front of you as you never know what can happen or when you may need to hit the breaks. gsc wrote: Please ride and drive safe out there during the winter. This is my wife's side by side after being hit by a vehicle in the bush. She was coming down an icy FSR road when she spun out and did a 180. The vehicle behind her hit her head on doing about 40km. Please leave space when some one is in front of you as you never know what can happen or when you may need to hit the breaks. So your wife spun out, and it's someone else's fault for the accident? I think ICBC shares the same logic. The guy behind her was tailgating her and left little to no room to stop. So when she spun out he hit her. Now if he had left more space then this never would have happened. johnny24 wrote: So your wife spun out, and it's someone else's fault for the accident? I think ICBC shares the same logic. 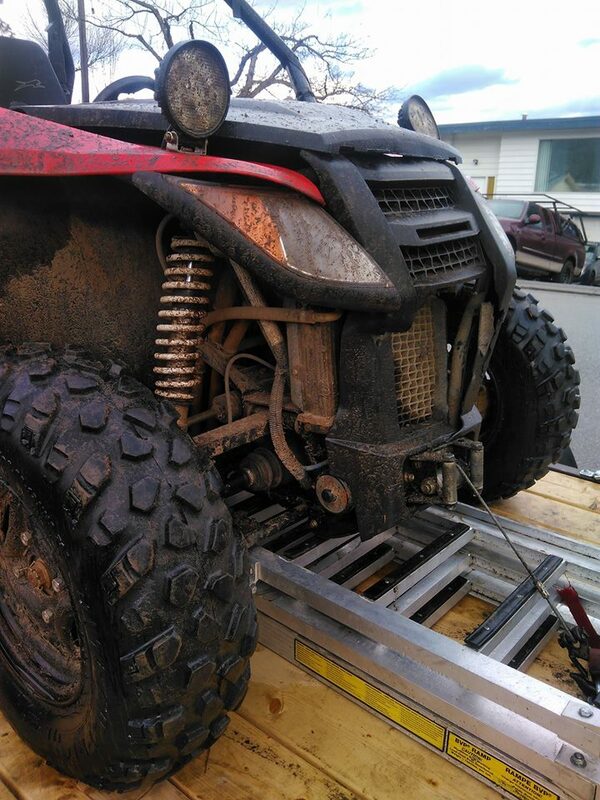 Yes, actually ICBC will find the vehicle following the ATV at fault. Any damage caused when the woman lost control she is on for. After she is stationary any damage caused by the following vehicle, the vehicle's insurance (ICBC) is on for. The basis is that if you are travelling down an icy snowy hill, you should follow at a prudent distance from another vehicle taking into account the condition of the roadway, including slope and environmental. gsc wrote: She was coming down an icy FSR road when she spun out and did a 180. 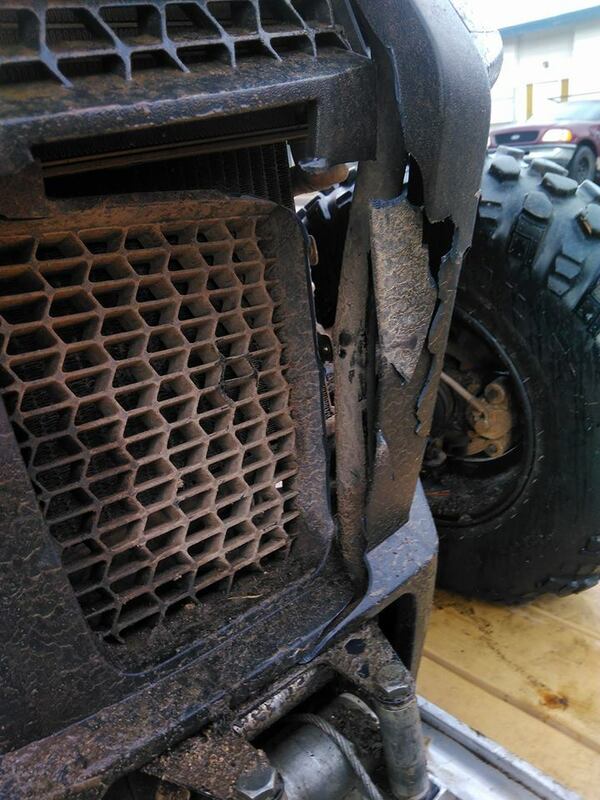 This appears to be a problem with ATV and side x side drivers that go too fast for the conditions and figure that their 4x4 can do anything. Also, inexperienced drivers have a hard time controlling themselves in adverse conditions such as ice covered roads. Many years of experience will teach a driver that speed is a main concern when conditions are bad, so it's quite possible that the ATV driver was going too fast and inevitably caused the accident by going too fast for the road conditions and air pressure in the off road vehicles tires could have been too high causing loss of traction. 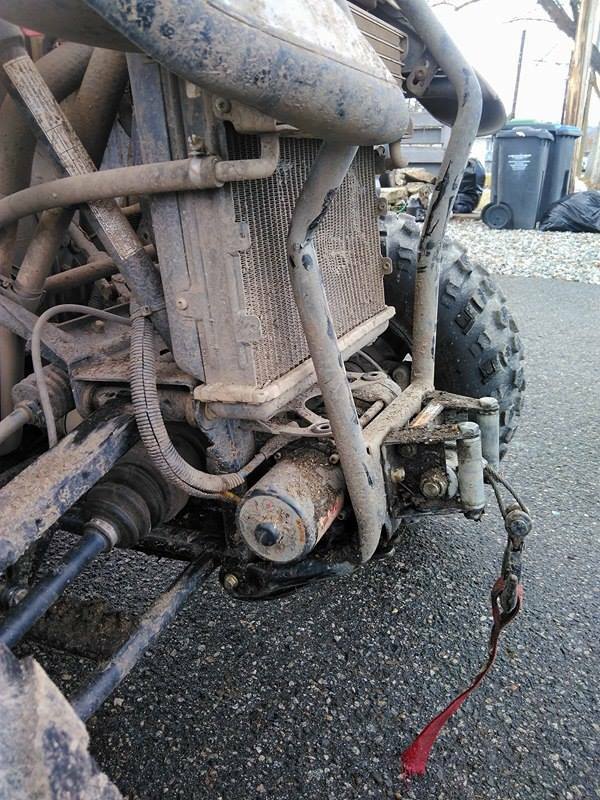 I personally think that if an atv rider loses control and causes an accident, as in this case, the owner is liable for repairs. 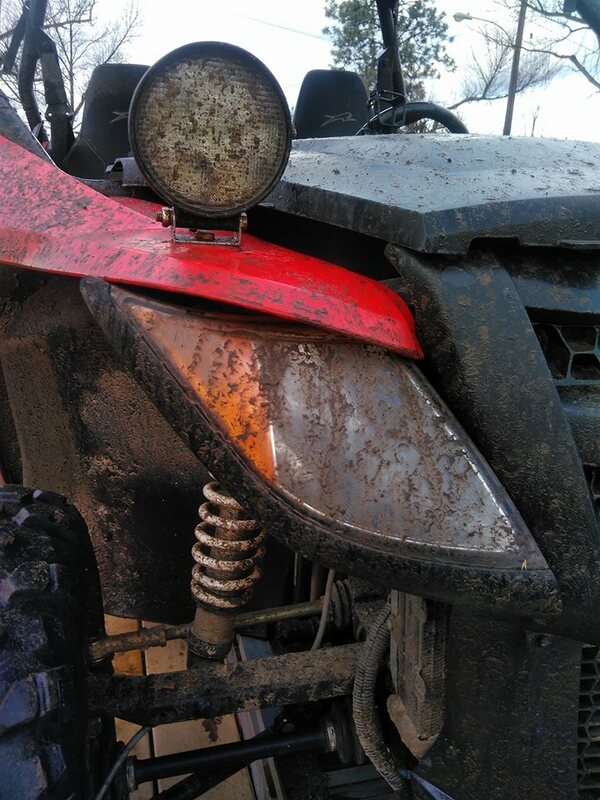 The person driving the vehicle that hit her didn't have fair warning that the ATV was going to lose control, whether you claim they were tailgating or not, video evidence would prove to be useful in a situation like this. My advice is to always have your GoPro running when wheeling in the bush, as this would have been quite the video to see. Also, maybe get the side by side driver to take a driving course to better her skills on icy roads, and teach her to make sure tire pressure is correct for the conditions, as too high a tire pressure can cause a serious decrease in traction. Well I can say in this speed was not a factor as my wife was driving properly for the weather conditions. Our average speeds on that part of road where fairly slow because of all the ice. The vehicle that had hit my wife how ever did not leave very much room, did not have winter tires nor where they studded and the driver we assume had a few to drink judging by the smell of alcohol. You are correct about tire pressure and having the right tire pressure. In the summer we run about 8lb's and in the winter we drop to about 5lb's. We find that to be perfect how ever on slick ice air pressure doesn't really matter. We had driven all day in snow and had very little issue till this happened. The driver of the vehicle also fully admitted he was fully guilty and that he was at fault. Gopro's are a great tool to always have but in our case the GoPro had died due to such cold weather and the battery not lasting as long. Most people that own gopro's know how short the battery life can be in the cold. It lasts about half the time it would in the summer sadly. But if you don't own a GoPro you wouldn't know that I guess. UltraViolet wrote: This appears to be a problem with ATV and side x side drivers that go too fast for the conditions and figure that their 4x4 can do anything. Also, inexperienced drivers have a hard time controlling themselves in adverse conditions such as ice covered roads. Many years of experience will teach a driver that speed is a main concern when conditions are bad, so it's quite possible that the ATV driver was going too fast and inevitably caused the accident by going too fast for the road conditions and air pressure in the off road vehicles tires could have been too high causing loss of traction. From what we were told, the side by side did not collide with the vehicle, the vehicle hit the side by side when the side by side was stopped facing the wrong direction after spinning around. As for proof. A driver of a vehicle must use caution at all times. The onus is on the vehicle to follow the ATV at a safe distance taking into consideration the conditions. 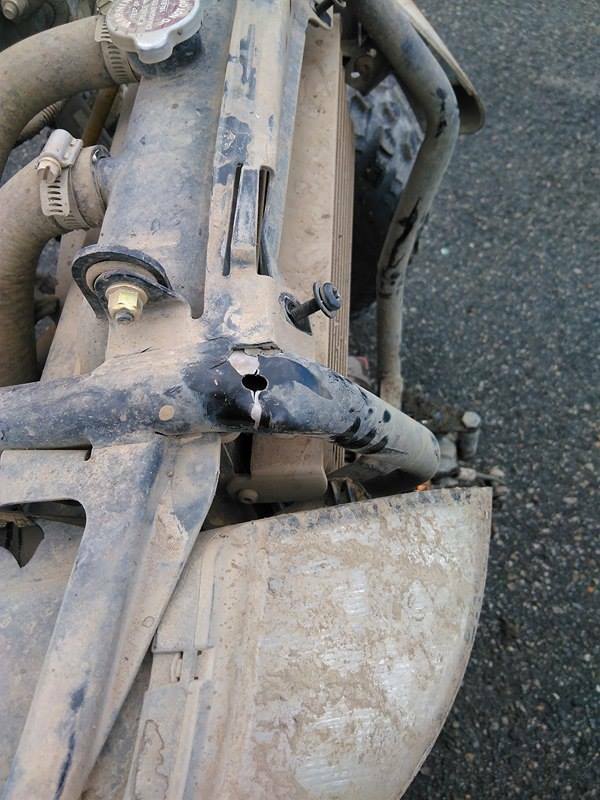 We have some proof, the vehicle hit the ATV, thus was following too closely. The fact the ATV lost control on the hill and spun around and didn't hit anything and was stopped on the roadway, doesn't absolve the following vehicle from the liability for hitting it. As and illustration..... you must make an emergency stop for some reason (a dead body across the roadway, whatever) you stop and the vehicle behind you doesn't and it hits you. Obviously the vehicle following is at fault. The reason the lead vehicle stopped doesn't have a bearing in the liability of the following vehicle for hitting the lead. Yes we do. We also have restricted plates on our side by sides and not the basic off road plates. "otherwise you will be the one in trouble" ????? So you think if I'm driving my completely uninsured car down the main street of Kelowna, with no driver's license and you drive through a red traffic light and smash my car and injure me, that my claim won't be paid to fix my car and pay for my injuries ? In my example, I might get a ticket for no insurance and DL if the cops come, but I'm still fully covered for the loss, since you are at fault, not me. I remember a person who rear ended another car and that car took off, later to be found to be a stolen vehicle. The driver of the rear ending vehicle couldn't understand how he could be at fault for the accident, since the car he hit was stolen and that it took off. He was, of course. gsc wrote: We had driven all day in snow and had very little issue till this happened. Funny how a friend directed me to a video made by a couple on their side by sides not really following the rest of the pack at the Toy Run, but more less on their own. It appears the driver of a red side by side was having trouble on 2 separate occasions in the video. Twice sliding off a road at 6:38 and then again at 9:58 for what appears to be no apparent reason. Considering the driver of the green side by side didn't have any trouble in these areas, either the machine has issue's, too much air in the tires, or an inexperienced driver, or texting and driving, or all of the above. If this is you guys in this video, I can clearly see how your wife could easily lose control and go head on with someone. I can only imagine how many more instances this driver drove off the road, as the video was only 13 minutes long, and most people are out for a few hours. If you see what you quoted " we had very little issue" I clearly didn't say we had non. Both mechines have the same tire pressure and tires. Actually that is our video and thank you for watching :). As you can see in the video there are slippery sections. Also that for the most part we where on our own for that reason. I would also like to point out that she was not on her phone or any of the reasons you had pointed out lol. Also the red side by side was in a different path then the green one. Fighting the point saying she is at fault for spinning out and then got hit is ridiculous. If you read any of the posts you'll see that I had said the driver admitted it was his fault and that he didn't leave enough space to stop in time. Please actually read posts above. Thank you again for watching our video feel free to subscribe. Also the green side by side did spin out as well. If you watch the full video you can also see the green side by side sliding lots as well. Really? Texting and driving in the bush with no reception? That's funny. Well I wasn't texting and driving as I was driving. We were one of the first to start the toy run also because we wanted to do the whole run but had to be home at a certain time for a wedding. Also wanted to get through before it got too mucky... didn't want to chance getting stuck. But thanks for your input and assumptions.